INSPIRATION from art (sculpture, painting, music), prayer, nature (trees, water, mountains, etc. ), philosophy and/or human emotions. 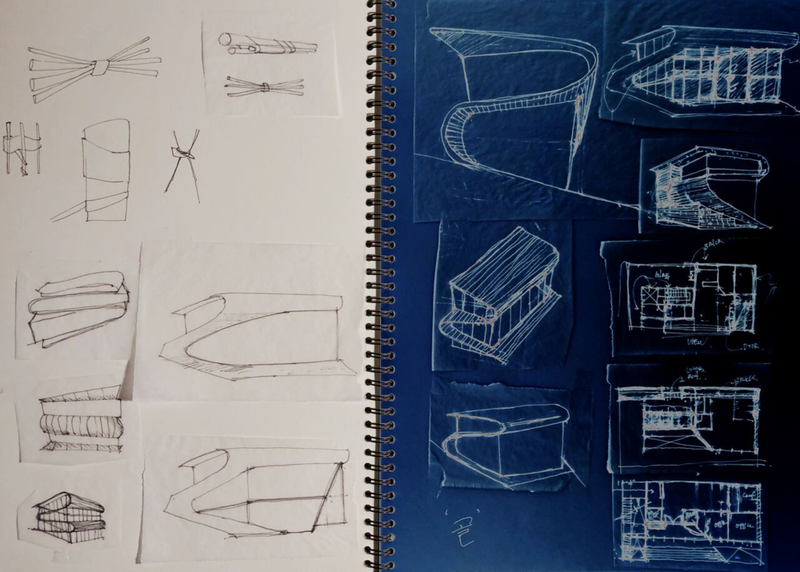 TRANSFORMATION from inspiration to purely a STUDY/DRAWINGS of interesting and inspirational spaces. APPLICATION of study/drawings to actual architectural spaces’ programs, circulation and required MEPS – (Mechanical, Electrical, Plumbing, Structural although GSA places the Structural before all other aspects. ), civil engineering, up to code landscape design which carefully considers and incorporates the client’s vision, goals and functional needs.